Brevard Zoo is another place in Florida to spend a day of fun and excitement. Located in Melbourne Florida, this world-class zoo was first opened in March 1994 with the help of over 16,000 people. People of all ages will surely have a memorable day exploring the Wild Florida, Expedition Africa, La Selva, and Australasia in this one-of-a-kind zoo. At first, the idea of putting up a zoo was envisioned by only a small group of people who wanted a sanctuary to reuniting with Mother Nature. To build a place that will make one forget all about the daily stresses brought upon by urban life. Though the vision was noble, it is not enough to build an entire zoo. A call for financial and labor resources was brought up, and by this, Frank Vega, the former Florida Today publisher, recruited various community leaders to take part in building this dream. From then on, the plan became clearer and resources were supplied. Architectural designs and labor forces were provided by the executives from major aero space companies. An ideal location was made possible by A Duda and Sons who generously donated the land. Fund-raising events and donations for the project continued to shower and in no time, the interactive zoo was opened. All communities and donors who helped summed up a total of 16,000 people, making Brevard Zoo the largest community Zoo that was built out of charity. Who says a zoo is boring? Brevard Zoo will definitely break your impression about zoos. From little tots to elderlies, the whole family will surely enjoy the fun activities offered by this zoo. Experience the thrill of feeding a giraffe for $2 and parrots for $1 per nectar cup. Treat the kids to a 10-minute train ride at the Cape to Cairo Express for $3 each child who is 2yrs. old and above. The train will bring them past the Australian aviary and around the Lemur island. In Expedition Africa, you can avail a kayaking tour for $6 per individual. Though, it is important to note that children under 5yrs. old are not permitted to kayak. If you want a water adventure where the children can join, try the paddle boat at the Wild Florida instead. A boat rental for half an hour costs $15 for non-zoo members and $12 for zoo members. Each boat can accommodate at most four people. If you are more of an animal-lover than an outdoor adventurer, don’t fret because there are also lots of animal interactive activities for you. Dare to feed the much dreaded alligators and crocodiles, or feed the agile river otters. Be prepared to have a close encounter with a rhino for a 15-dollar tour that will last for 20 minutes. Get into a wild expedition by availing the Wild Encounter Tour, Expedition Africa. 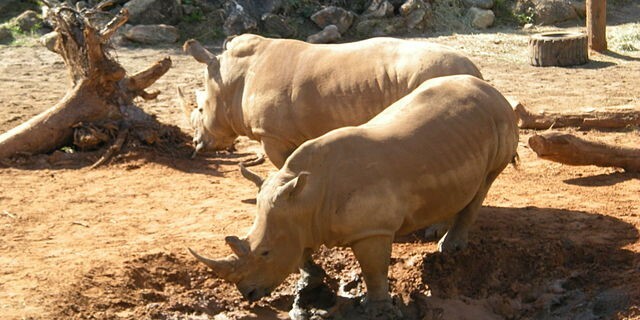 This hour-long educational tour will make you meet Johari, a masai giraffe, or Howard, one of the zoo’s white rhinos.